Really!? Safe trip and have fun! Really? Iceland as in ash clouds (not the shop) - if so make sure you get back safely and enjoy! 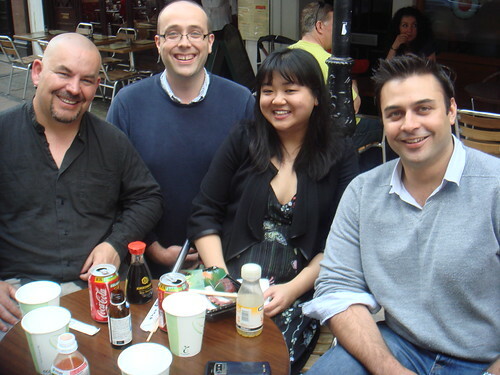 You have clearly photoshopped yourself into that picture- I believe that is actually the body of Gregg Wallace. Hey Meemalee - Have a great trip.... I can't wait to read all about it! @sasasunakku - It was amazing, thanks! @Michelle Peters-Jones - Awww, Michbot! I'd kinda forgotten about GBM. Where are we? Is it over?? @chumbles @Carol @KirkK - Thanks guys! It was brilliant!